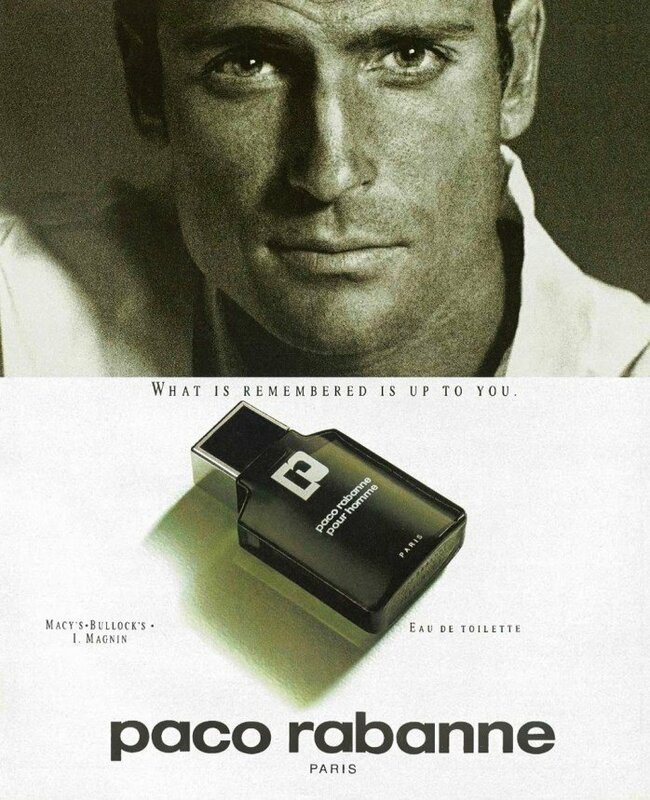 Paco Rabanne pour Homme (Eau de Toilette) is a perfume by Paco Rabanne for men and was released in 1973. The scent is spicy-green. It is being marketed by Puig. ...dear "Paco Rabanne Pour Homme". In the flea market business you stood in a showcase, together with other flacons, at the back and without outer packaging. Probably "newly arrived" from some cupboard of some private "shelf tenant" to bring his goods to the people. With customer number and handwritten price tag. A started 50 ml bottle, in which there are still approx. 40 ml in it. NO green glass, but kept neutral. Must be a vintage!!! The salesgirl let me smell the spray head upstairs... "Whoa, cool!!! What a smell!!! tart, almost powdery, green, spicy, thickly applied muscatel sage together with no less "fat" lavender and rosemary. A fragrance like a Mediterranean herb garden. With a fine note of roses, certainly also iris root has been used. Then it gets really mossy. A green mossy valley bottom in the early morning hours after nocturnal rain. A very intense radiance for me emanates from this "old" Rabanne. Almost incredible how the perfumers managed this "thing". Hardly any other fragrance of this herby-green genre comes close to it. At the very end of the fragrance there is a very pleasant woody "sweetness", a mixture of amber, moss, sandalwood and a flower. (I can't figure out exactly what it is) But indispensable for the fragrance. A grandiose, unbelievably "impossible" scent. Somehow "fallen out of time", but I'm wearing it!!! Inky crispness, that morphs into semi-sweet soapiness. During the first third of its evolution, the bouquet of herbs actually reminds me quite a bit of Jägermeister. Hugely influential and vastly copied, which makes it difficult to rate. After all, you can't blame the original for smelling like its million derivatives. What bothers me personally, is that Paco Rabanne is mostly about its heart notes and not much else. The dry-down is very pleasant, sure, but somehow the structure feels ...flat. Later additions to the genre explored the possibilities of the aromatic fougère with excellent artistic results (e.g. Azzaro PH, Dior jules or YSL's Kouros - all of which have survived their reformulations quite agreeably so far) and considerably widened the spectrum of what a single masculine can "do". 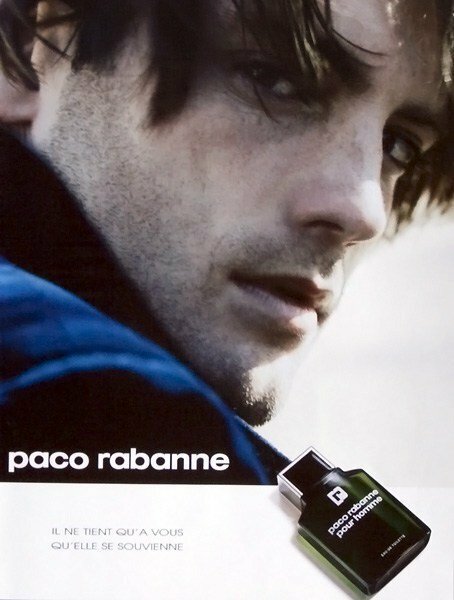 I wear Paco Rabanne Pour Homme occasionally and mainly just to celebrate its historical value. I've tried both vintage and contemporary versions, and - to nobody's surprise, I'm sure - the vintage version is more pleasant, more natural-smelling. But IMO the current stuff is still recognizable, contrary to what some people say. Sure. it has a sort of 'digitally modeled' feel to it, but still: if you hate the new one, you won't love the old one either. Simply a classic. A classic which is rewritten to modern style and tries to reconnect the new age to old style. The new version is how a perfume starts Italian and transfers to French mood! Pour Homme starts green intense and herbal like a green meadow in sunny day somewhere in south of Italia. But the final stage is a french soap on marble bath tub. The core is apparently watered down. I wonder if it satisfy a classic fan. I assume that by now, it has become more than obvious through my reviews that I'm a total vintage freak, and since I've never come upon a reformulation that was better than the original fragrance, I think that my reasons for being such a freak are on solid ground. Thus, all my reviews and comments are about the original formulations of the fragrances they're about. 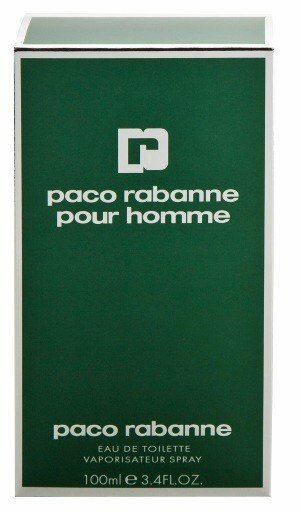 So, Paco Rabanne pour Homme. This is one of the "Holy Trinity" of rather expensive fragrances that I remember from when I was a kid, and were hugely popular in Greece during the '70s and '80s. The other two were Azzaro pour Homme and Aramis. An uncle of mine was using all three of them regularly, so I grew quite accustomed with each one of them. If we consider Aramis as a "battle scent" and Azzaro as a "macho overdose", Paco Rabanne was a much more refined tough guy, with a sweet undercurrent lurking under his skin. I'd daresay it was the metrosexual of its era. I'm not even sure after all these years if it would qualify as a "powerhouse", compared of course with fragrances like Quorum and Drakkar Noir. I don't mean that it lacked in sillage and longevity, cause it didn't, and there's absolutely no doubt that it would singlehandedly beat to a pulp 99% of today's masculine fragrances, but compared to the rest of the beasts that roamed the Earth during its heyday, it somehow lacked in "powerhouse" quality, which is a quite abstract and difficult thing to explain. For example, Le Male and 1 Million have nuclear sillage and longevity, but not a chance to be rendered as powerhouses, cause they lack the sense of seriousness and/or meaning business that old powerhouses had. Maybe this was the reason that its bottle had smooth curves and was a joy to hold, while Aramis and Azzaro pour Homme bottles' edges could be used as a knife in an emergency. And that unique, elegant and peaceful shade of green it held, was like saying "Come on gentlemen! We don't need that much of testosterone to prove us men!" in a melifluous and cultivated, yet commanding voice. 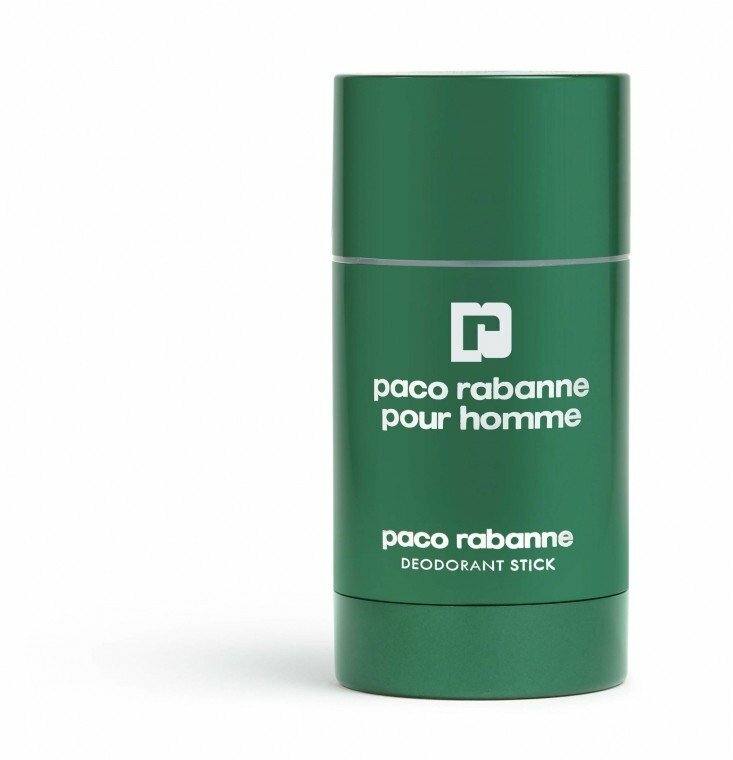 *This is a review of vintage Paco Rabanne pour Homme. 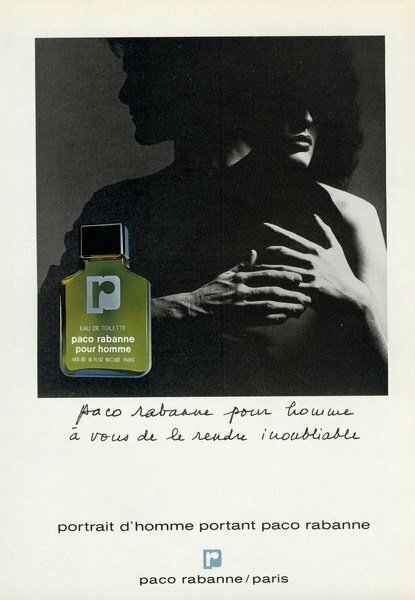 Paco Rabanne pour Homme (vintage) opens with a blast of aromatic lavender before a fern-like green accord takes over as the star in the early heart. Joining the relatively sharp greens is an underlying dirty spice that most likely is cumin (though not listed in the official fragrance notes). The dirty green accord continues through the earlier stages of the dry-down, as a relatively dry supporting honey note permeates the dirty greens. During the late dry-down the composition softens as the dirty greens all but disappear, leaving slightly powdery oakmoss from the base to couple with the remnants of the honey. Projection is above average and longevity is outstanding at 12+ hours on skin. Paco Rabanne pour Homme (vintage) is a fragrance that I really want to like but there is something in it that holds me back. The aromatic lavender open smells really great and I wish it hung around longer, but my guess is the culprit behind my lack of enthusiasm must be the cumin-like dirty spice undertone in the early heart. Also a contributing factor of note is the very old-fashioned green fern-like vibe exhibited by the composition (somewhat reminiscent of the primary heart accord in Clive Christian's 1872 for Men) that just seems a bit out of place nowadays. As I tend to seek out and love classic compositions from Paco Rabanne pour Homme's time period generally, my guess is that if it is striking *me* as old-fashioned it must be viewed as truly ancient by many others. The bottom line is the still relatively inexpensive Paco Rabanne pour Homme (vintage) does smell good and is certainly a classic masculine for sure, but I am not quite a fan of its dirty green presentation and can only award it a "good" 3 star out of 5 rating with a tepid recommendation. I grew up in the 1970s (born 1964) in New England and I remember this one. I do not remember being aware of cologne or perfume in general, but I remember PRpH vividly. I liked it, it was spooky-ubiquitous and there was nothing else like it. I remember it as pine-like. When I smell it now I get the pine reference, but now I see it as the green convergence of rosemary, clary sage, laurel and lavender. The pine ‘snap’, the coolness, comes from tarragon and clove. This is a wonderful fougère. It is soapy, mossy, resinous and barbershoppy all in one. It isn’t terribly complex and it doesn’t show much evolution over time, but it’s wonderfully breezy in a way few scents then or now are. I understand that PRpH was eventually overshadowed by Azzaro pour Homme, the next king of the hill fougère. ApH is more sophisticated (although even louder) and notable more complex. Still complexity isn’t necessarily a virtue in a fougère. Also, I don’t think ApH would cover the reek of weed quite so well. (A classic use of 70s cologne.) PRpH is less like the Azzaro fougère than it is two that came later: Caron’s Troisièmme Homme and YSL’s Rive Gauche pour Homme. By comparison the Azzaro seems baroque and a bit busy in its evolution on the skin. 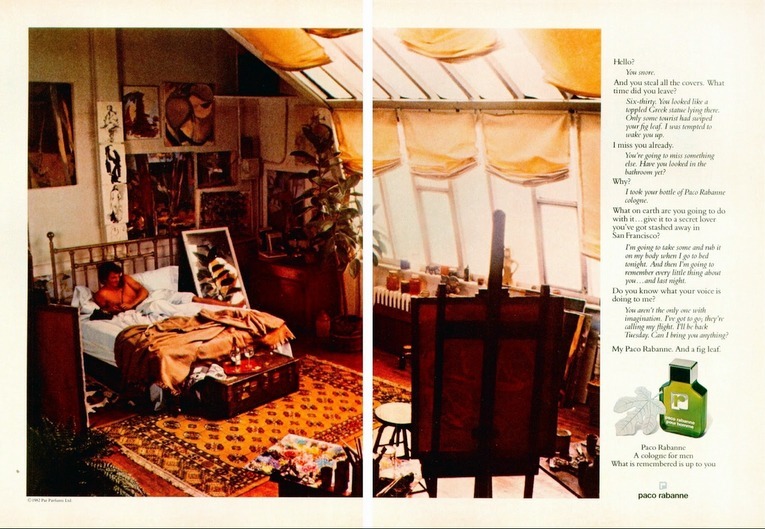 I can’t un-stick PR from the 1970s, but if you don’t have that reference, how would it strike you at first sniff? If you knew fougères from, say, Cool Water forward, what would you make of this? I wonder. and i think Brazilian Rosewood is responsible for that Lavender stands out strong in this cologne with the nutty accord of tonka bean i don't any traces of honey but i love the warm combination of Amber and Musk and dry Sandalwood. 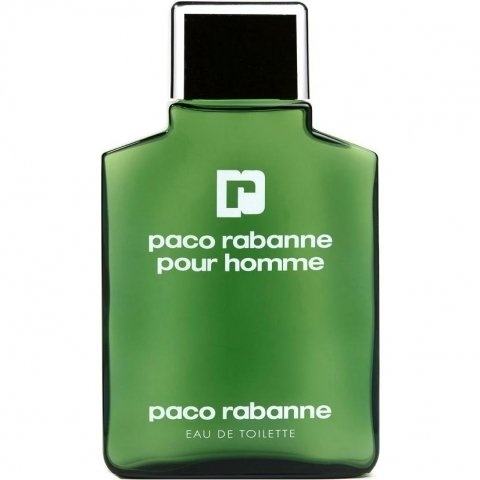 Where the frequently discussed One Million provides for the cliche of a young chav, the classic "Paco Rabanne pour Homme" heads into the opposite direction: the fragrance is intense, green and spicy-dry, the top note almost pungent. All in all with a high recognition value and quite masculine, but leads to associations of a Macho who passed the best years some time ago. Lasts long, but for sure neither a fragrance for me nor one, that I would regard as enjoyable in case of smelling it. It is a very clean, soapy, "barbershoppy" fougére. The lavender and the oakmoss are strong. My dads scent! I gotta try it, will revert back when I’ve tried it. Edit: tested. Nope, doesn't work. Feels dated.